The Z-Force’s titanium crown is thinned to 0.5mm in areas to remove inefficient weight from above the ball. This mass is repositioned lower and deeper to optimise MOI and forgiveness. An adjustable hosel allows you to dial in loft to suit your own game. 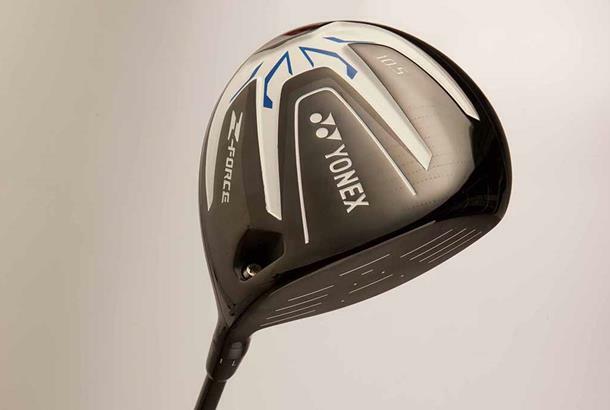 A no thrills no spills driver with a distinct lack of visible tech, which to be fair to Yonex is reflected in the price. Yes the head’s wide from front to back, and the face is slightly shallower than some which means its really easy to launch shots off the tee with, but if your looking for the bells and whistles of sliding weights, gravity chambers and carbon crowns you’re not going to find them here. In all honesty thanks to its simplicity this is the type of driver a majority of golfers might be better off gaming. Looking at our data though the numbers across the board are within the boundaries of average, which should be expected when there’s no investment in extra game enhancing tech. The wide body of the Z-Force is never going to let you down, its simple and straight forward. But when others at a similar price are investing in CG weights, and top quality shafts its just difficult to recommend such an ordinary driver.